Jokes aside, did you change a tremolo block? If so, what did you install and how did it affect sound? Changed the whole trem for a Wilkinson, made the zing that you get from a Strat a little more full... but the main reason for changing was the tuning stability of the original was terrible. I don't know how to use tremolo, removed the whammy bar and tuning stability doesn't bother me. My Squier has thin tremolo block and I was wondering if putting thicker block would add a little more balls to the sound, make it thicker a bit. Hardtail it by adding a block of wood in the tremolo cavity between the block and the guitar. Now that I like... always thought the Talman was a cracking looking guitar. 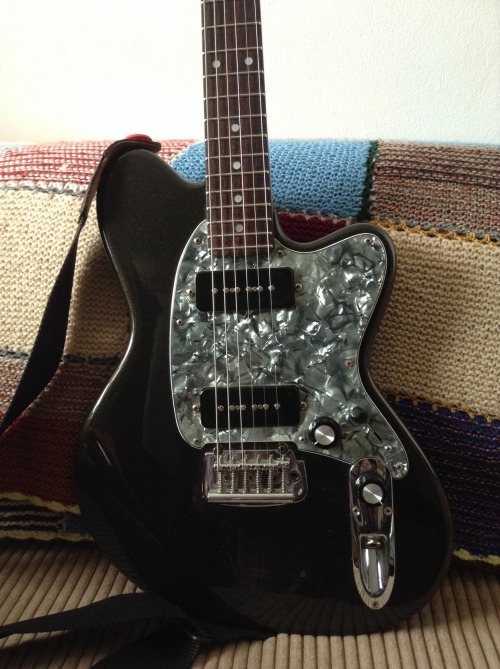 Plus you still got that Fernandes double bound tele, awesome. Glad to hear you're still above ground, Blane! here's one from the vaults... 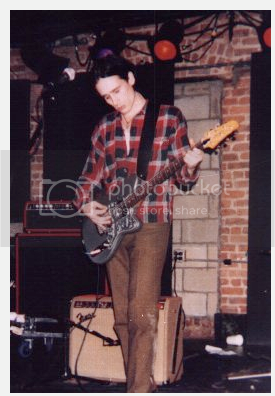 I was at this gig 1st hour of '96. My son just asked if that was a picture of his daddy...(and in 1996 it could well have been, looks like old Jeff has rifled my wardrobe). seen him play the Barras that year one of the reasons I play a telecaster. still think of you when i see this antigua guitar thats been in my local shop for the last year or so. 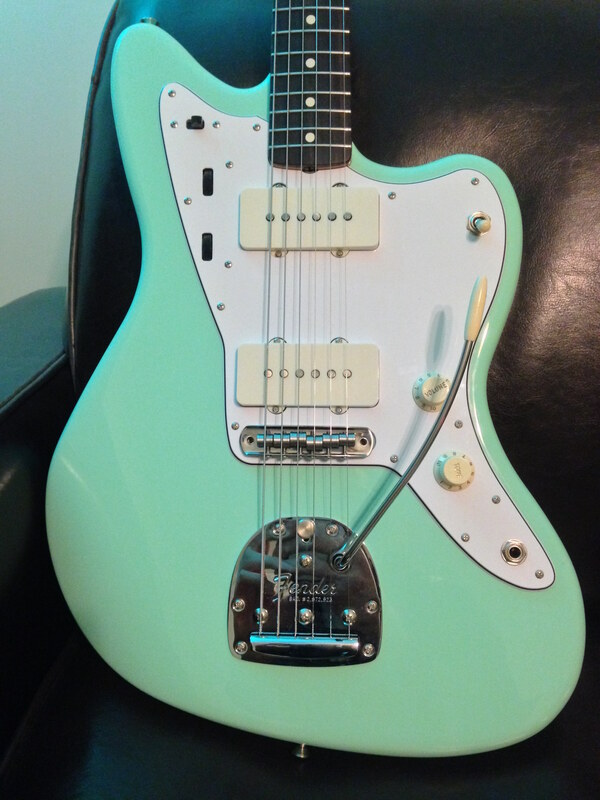 Hi, just jumping out of lurker mode to post a few pics of my new Jazzmaster. 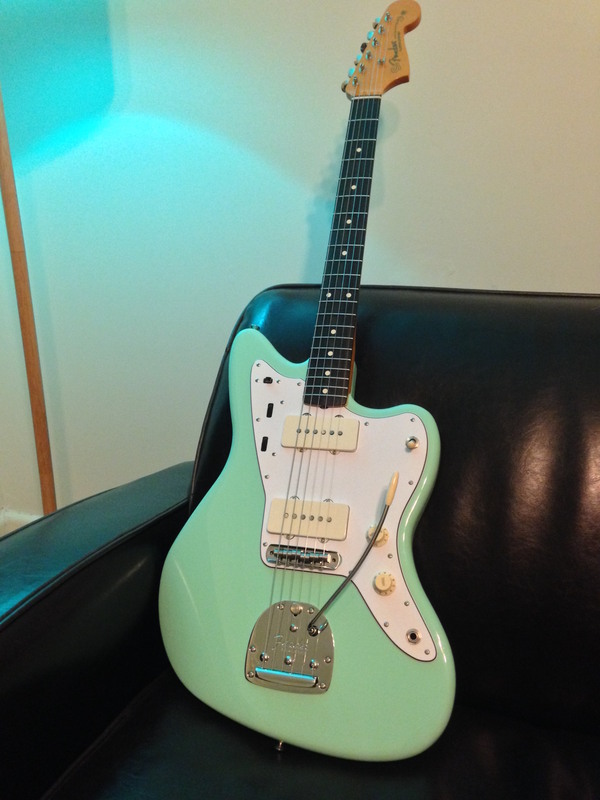 It's one of those 60s' Classic lacquered Jazzys in surf green. Really light and plays nice. I've thrown on an AVRI tailpiece and did the Staytrem bridge and collet upgrade. love those ^. if i bought a new guitar it would definitely be that. 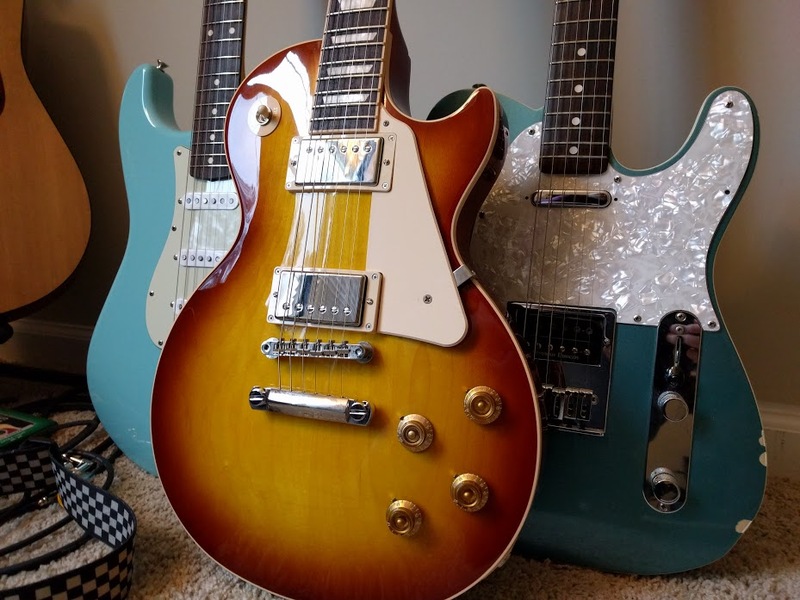 My three current Strats. I also own a 66 Reissue Mustang that for some reason I have no good pics of. 1) Shell Pink 62 Reissue Spec Partscaster - Bare Knuckle Apache Pups, skinny frets, 7.25" radius, everything you'd expect from a vintage spec. Body was relic'd before I purchased it. Don't have a picture of this without my ugly mush, sorry! 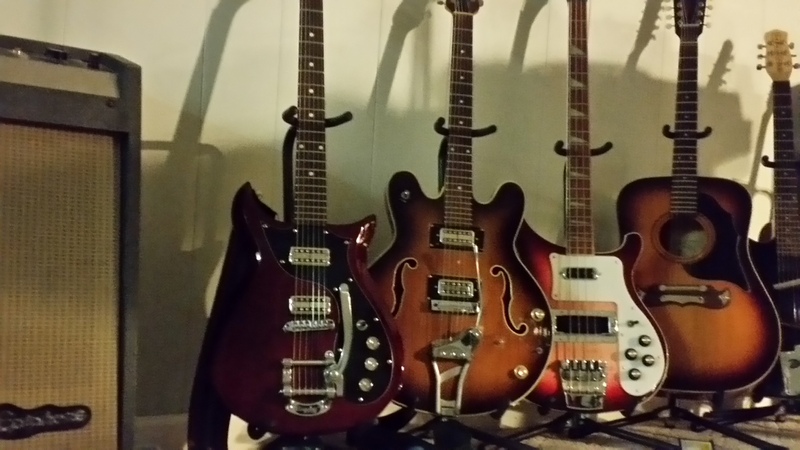 This is my main guitar and was put together over a few months by me. 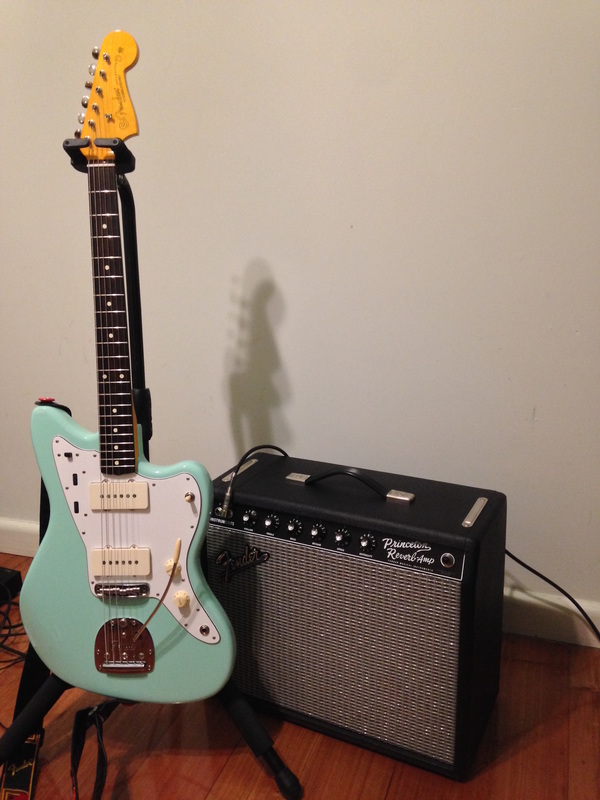 2) Daphne Blue Parts Caster - Thicker neck, 9.5" Radius, Medium frets, Bare Knuckle Mothers Milk pickups. 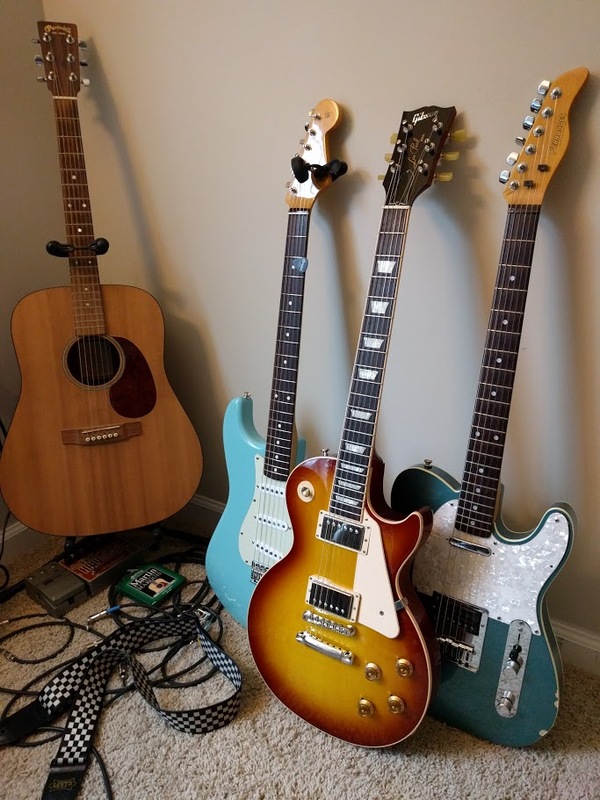 I love this guitar, but it doesn't get played out that much. Same with this, put together myself but body was ordered and made for me, unlike buying used parts for the Pink. Neck was used, but too good to pass up. 3) Squier (JV Serial) Contemporary Strat. Bought this off a dude in my city for a steal after a lovely conversation with him and his wife. Turns out this is a Japan only model and his wife brought it over with her in the early 90's. It isn't that great but is quite rare and my memories of the purchase make me smile. Has some weird stacked humbuckers and a mad switching system that I've not fully figured out, as everything I've found on this is written in Japanese.